This Pan-Seared Watermelon Steak is made by transforming juicy watermelon into a deliciously chewy vegetarian steak with a quick sear in the pan! 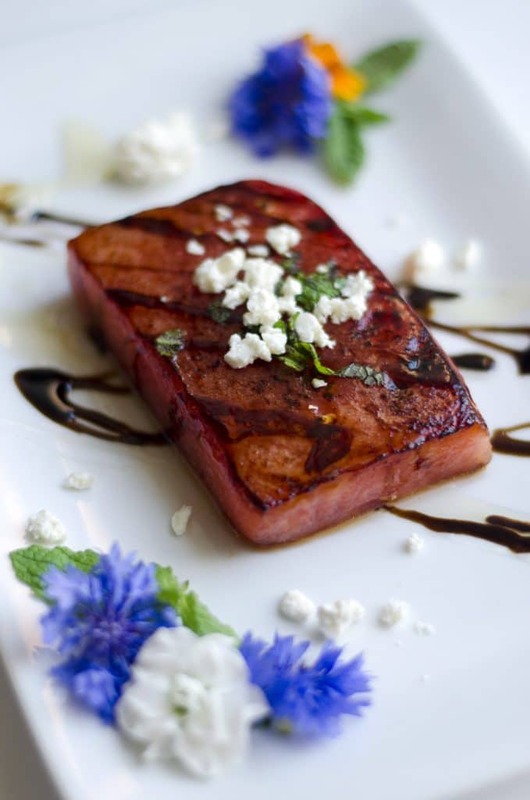 And topped with feta cheese and balsamic reduction, this looks as good as it tastes. 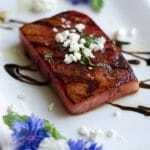 If your read my post from a few days ago, you know that I had a brilliant idea of cooking up a savory watermelon steak. But then a Boston restaurant, 51 Lincoln, invented a time machine, came to the future, invented a mind reading machine, and stole my idea. So I tried out their Oven-Roast Watermelon Steak recipe and even though I added twice as much sherry as was required, it was pretty good. How do you make watermelon steak? Those grease burns I mentioned. 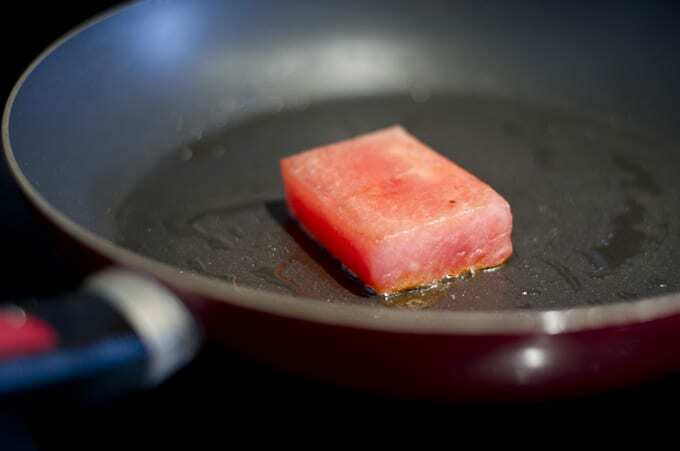 Yea I thought it’d be smart to throw the sopping wet piece of watermelon into a hot pan of grease. Don’t do that. Instead, pat dry the watermelons with paper towels and place them, uncovered, in the fridge for 1 to 2 hours. This will help to get out some of that excess moisture. Give em a final pat down right before cooking them. Then it’s onto the cooking. Place of dash of oil in a sauté pan and bring to a low-medium heat. To prevent any splash-ups, gently slide each steak into the pan. Cook each steak for about 5 minutes on each side, then increase the heat to medium-high and continue cooking, about 1 minute per side, until edges are slightly browned. Something about cooking these makes the taste much more mild and less sweet than raw watermelons, making them pretty flexible to some flavor add-ins. 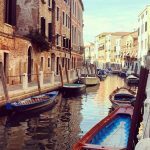 So today we’ll be throwing in some balsamic reduction. 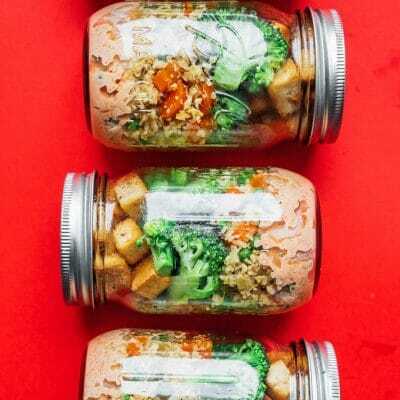 You can buy this at a grocery (you may see it called balsamic glaze), or make it pretty easily. You can find how to make it in the notes below the recipe. We’ll also top the steaks with a bit of honey, some fresh mint, and crumbled feta cheese. And finally the edible flowers. LOOK AT THEM. I mean, they’re optional, but this dish is fancy as haaayyl, so why wouldn’t you throw in some edible flowers? 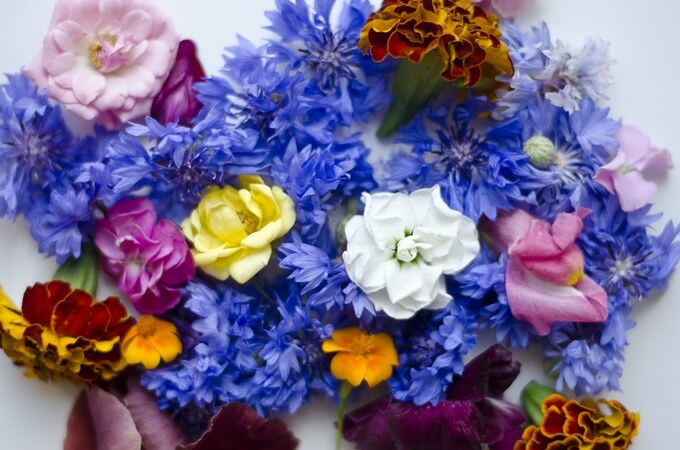 If you’re lucky enough to actually have a selection of edible flowers to choose from, go with a chive or nodding onion flower. These are more, well, oniony and would go pretty well with this. But if you’ll get what you can find, then just throw em all in there because just LOOK AT THEM. 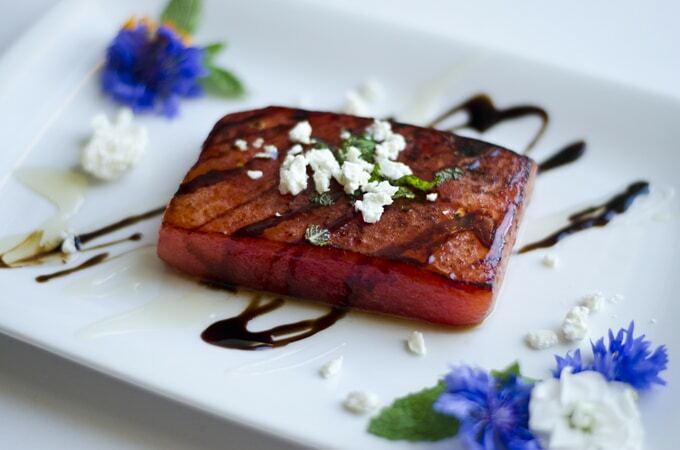 What does watermelon steak taste like? 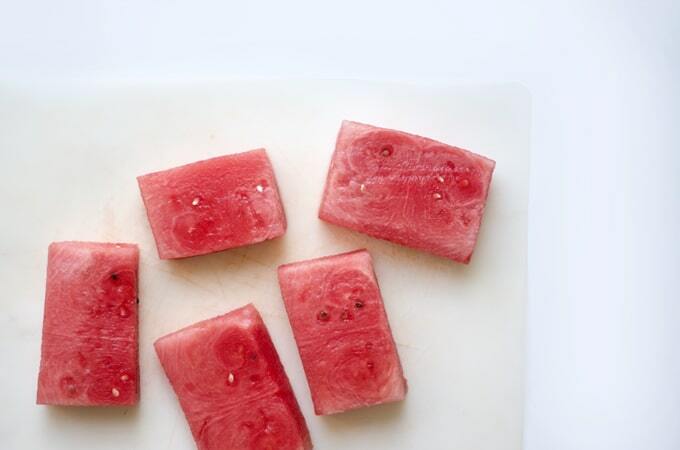 Cooking watermelon transforms its distinct granular texture into a slightly chewier texture, almost like raw tuna. The taste becomes less sweet and more savory/smokey! This Pan-Seared Watermelon Steak is made by transforming juicy watermelon into a deliciously chewy steak with a quick sear in the pan! 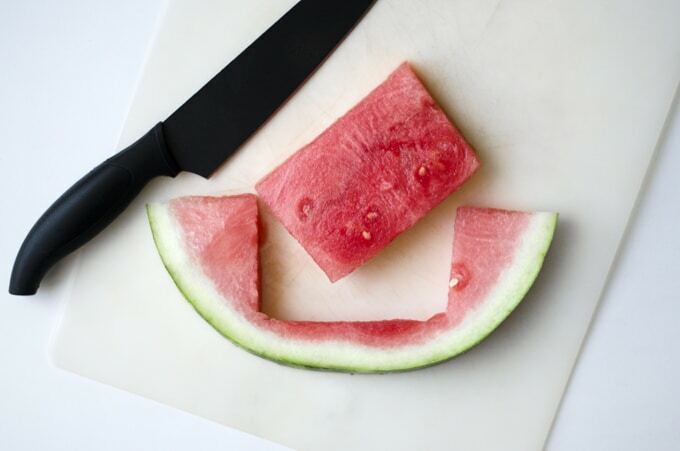 Cut: Cut watermelon in half lengthwise. Place flat side down, and cut 1.5 inch wide slice. Cut the largest rectangle possible from each of these slices. You should be able to get about 6 good steaks from 1/2 of a watermelon. Dry: Pat each of the steaks dry with paper towels, then place in refrigerator, uncovered, for 1 to 2 hours to dry out excess moisture. Give them a final pat right before cooking. Saute: Heat oil in a large saute pan over low/medium. Gently slide each steak in, cooking for about 5 minutes on each side. Increase heat to medium-high and continue to cook each side for one minute, or until lightly browned. Serve: Drizzle honey and balsamic reduction over steaks. 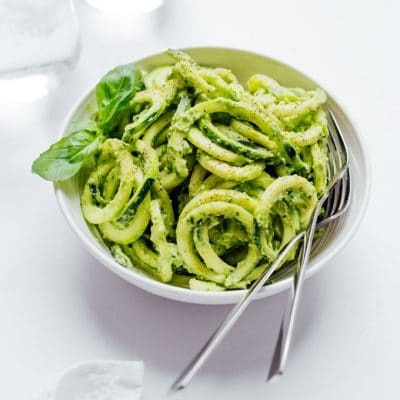 Top each with mint, crumbled feta, and edible flowers. *How to make a balsamic reduction: Bring 1/2 cup of balsamic vinegar to a simmer in a small saucepan. Whisking occasionally, allow balsamic to cook and reduce down until it is syrupy and coats the pan and spoon (it will reduce in volume by about half). Came out great and tastes just like a steak. Thanks for your recipe. So happy to hear, Robin! 😀 Isn’t the transformation it takes so interesting (and tasty)? Sounds great, I will be trying this but I unfortunately found it a little too late today. It was just after I chucked my sliced watermelon into hot oil and splattered myself with red hot grease that I thought I should maybe look up an actual recipe. Ah well, we live and learn.